Bellabox Backstage Beauty 2.0 Bloggers Event was my 3rd Bellabox event. 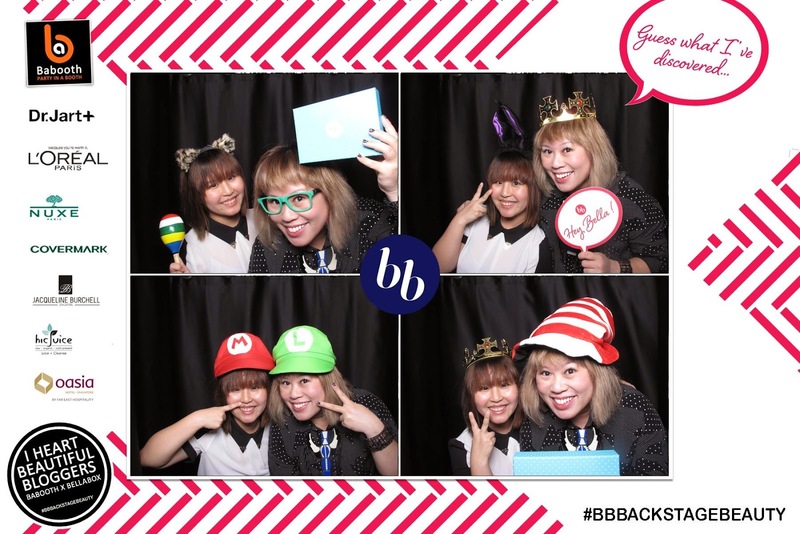 Bellabox team never fails to bring out their events with lots of fun activities and beauty products for their bloggers and guests. Bellabox Backstage Beauty 2.0 held at The Oasia Hotel. A total of 6 booths for us to explore and get to know more about their products and services. L’Oréal Paris was the first booth I visited. A unique oil formula that transforms dry hair into silk. The award winning ELVIVE Extraordinary oil is the perfect companion for ULTIMATE hair care, style and protection. Inspired by the extraordinary power of 6 rare flower oils, it provides incredible nourishment for all hair types and won’t weight your hair down. 24HR Professional Styling. No harsh alcohols. The first styling range without drying and damaging effects of alcohol. Instead, EverStyle is infused with orange peel oil and coating polymers to provide superior salon-quality style that is never compromised. EverSleek: 100% Sulfate-free, 48-HR Frizz Control and Free of Harsh Silicones. Achieve smoother, silkier hair for up to 48 hours with groundbreaking blend of sunflower, argan and olive oil. EverStrong: 100% Sulfate-free, Strengthens Hair after just 1 wash.
Use EverStrong to strengthen weak, brittle tresses. These salon-grade products use botanical ingredients ti cleanse gently without stripping off hair’s natural oil. 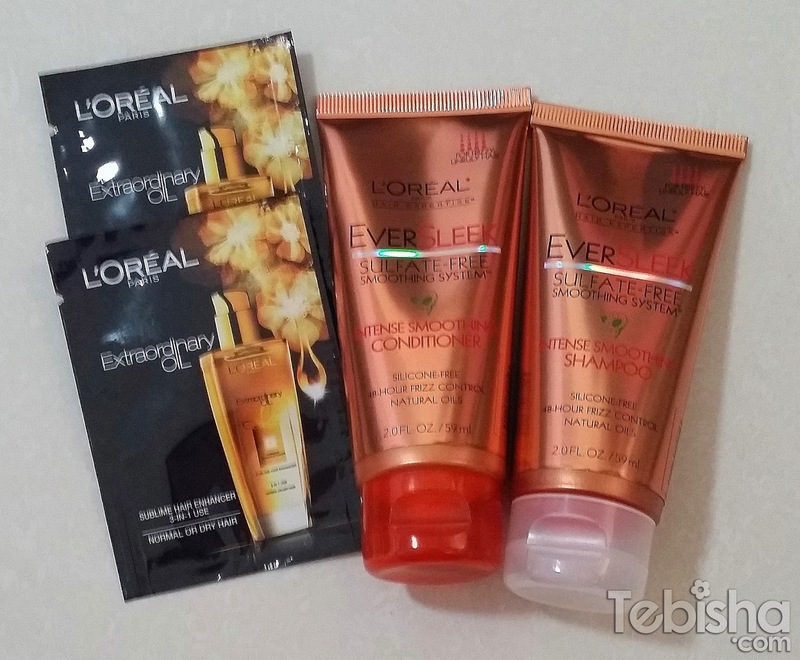 Thanks L’Oréal Paris for the travel size of EverSleek range. Next, we have Dr Jart+ booth. Dr. Jart+ is a dermatological cosmetic fun brand centered on the belief that scientific products lead to healthy, beautiful skin. Ceramidin Range – Ceramide protects skin from losing moisture. DIS-A-PORE Beauty Balm – Highly functional Derma Pore BB to simple solve complex pore trouble by covering proes with only BB cream without applying a pore essence and primer. A new unique concept of bouncing formula by Dr Jart, that allows you to feel elasticity with your fingertips. The 2nd generation of BB cream, that has surpassed the existing BB cream. Touch-up type bouncing BB to maintain elasticity and bright skin anytime and anywhere. Thanks Dr Jart+ team for the goodies bag will do up a detailed blog post to review DIS-A-PORE BB Cream. Covermark was the 3rd booth I visited. COVERMARK is a leading Japanese foundation & skincare brand known for its high-quality foundation and skin care with Japanese new technologies. Covermark is known as Foundation expert from Japan. Asides foundation & makeup, Covermark also introduce their skin care range to us. Precious Bright Lotion – Softens, moisturises & brightens skin. Precious bright Serum- Turns stiff skin, plump, soft and smooth, aiding the application of cosmetics. Precious Bright Cream – Maintains skin’s beautiful translucence. Jacqueline Burchell booth caught my eyes with their outstanding signboard. Jacqueline Burchell introduces their new Brush-On Gel Polish. Although its Gel Polish, it does not requires UV light to cure the polish. Long-lasting polish can stay on your nails for 14 days! My favourite range, Fizzy candy range! The Gumdrops colours makes me fall in love, the moment I saw it. Frizzy texture makes it unique from the normal polish. 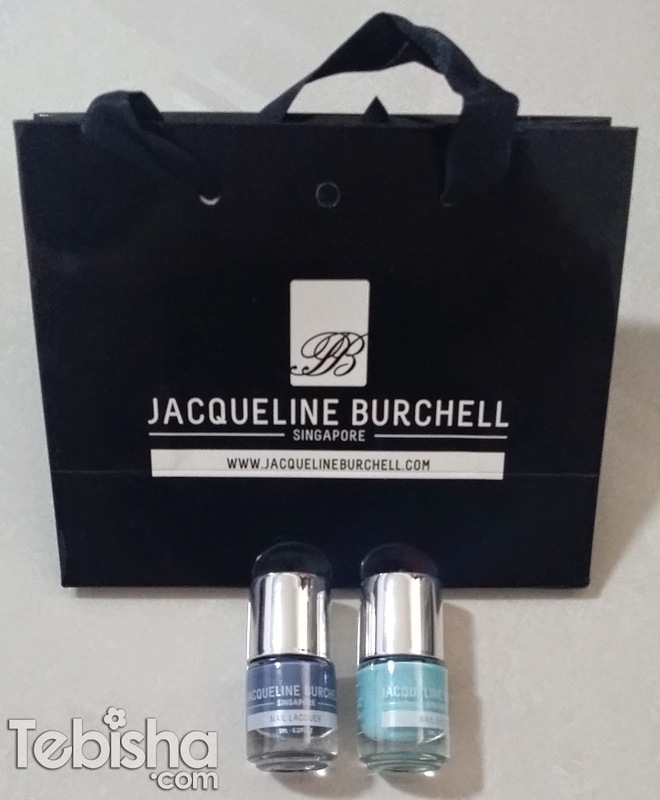 Thanks Jacqueline Burchell for the mini nail lacquers, will try it out on my nails and review it. NUXE Paris was here to introduce their new NUXE White skin care range. NUXE always generous to us, very thankful for the full Nuxe White range. 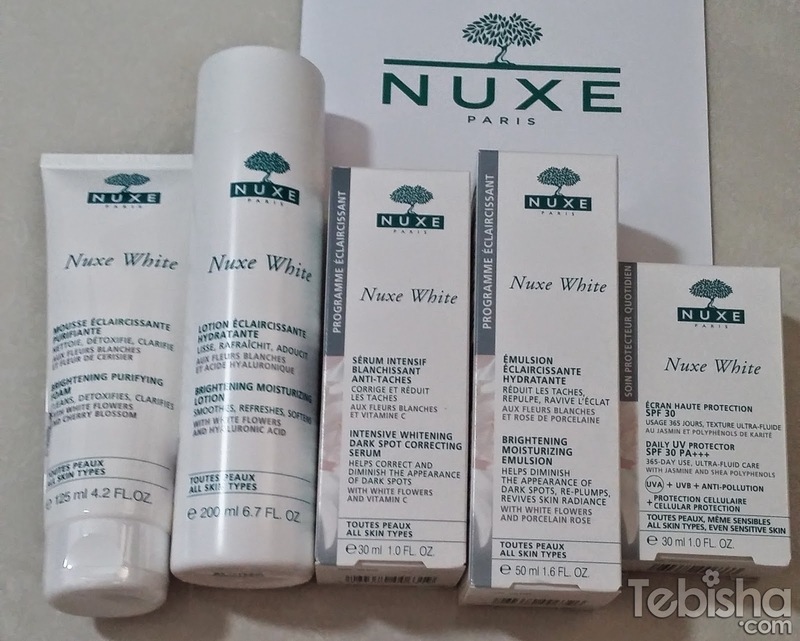 I will try it and do up a detailed post on Nuxe White, so stay tune! 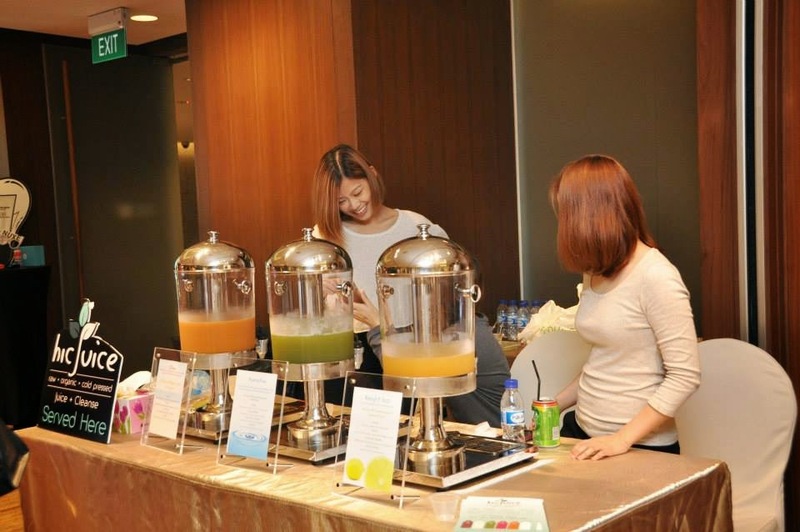 hic juice was served at the event. Have been reading a lots of hic juice reviews from various bloggers, finally i get to try it at the event. 3 types of juices available at the event, I tried the hydrating juice which consists of Kale, Apple, Cucumber & Coconut Water. A bit of veggie taste but its sweet and refreshing. I’m trying to shed off some fats recently, hope 1 day I will be able to experience their Juice Cleanse Journey. Last but not least, how could we miss out the video / photo booth. 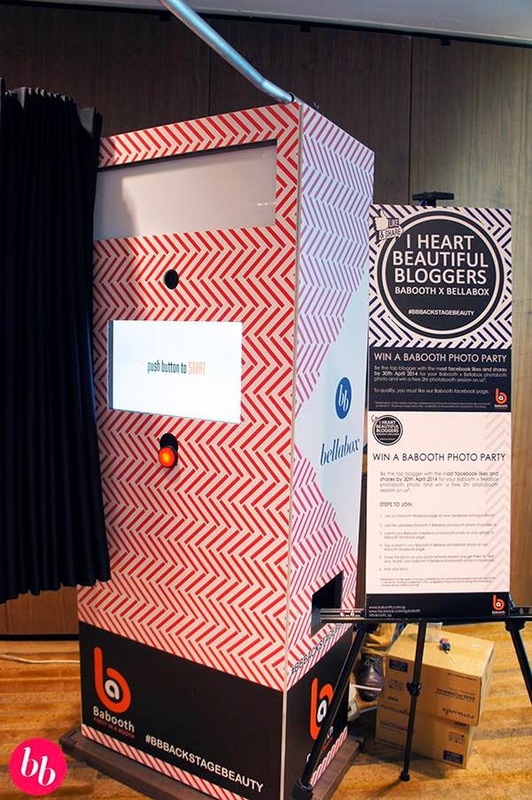 Babooth has launched a brand new, first in Singapore, party video booth at Bellabox Backstage Beauty 2.0. 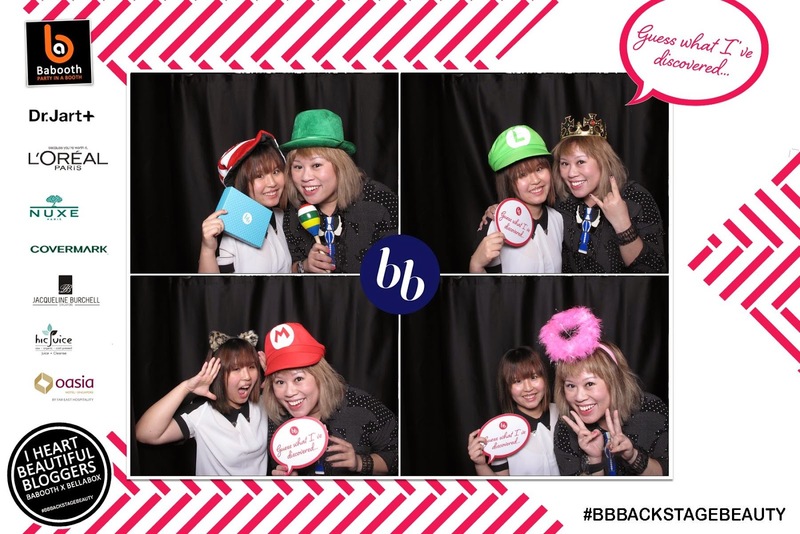 We were the first few to try out the party video booth! Mag and I were pretty shy during the first video, it can be real hilarious when we take with a bunch of fun people which we did during the 2nd video. Babooth staff really fun and spontaneous, we had a great moment with them! After video shooting, we moved on to their photo booth. Babooth, photo booth comes with curtain, so we can do lots of crazy poses inside the booth without feeling embarrass! Thanks Bellabox for organizing such an awesome event, always enjoyed what Bellabox arranged for us. Stay tune to my blog for the reviews of the products participated in this event. Subscribe your monthly Bellabox at $19.95 per month. Every month you will receive bellabox with full of surprises!